Abbey Konowitch, a New York City native who calls Los Angeles home for more than two decades, is the quintessential, music industry executive, having worked as an Music Agent, Label General Manager, TV Programmer, and Artist Manager. He has defined himself through, innovative global music launches and events, brand partnerships, bar-raising marketing ideas, and a good helping of luck. He has been involved with some the best known names in music and is recognized by his ability to not only identify talent, but to develop these artists into lifestyle brands and then market them globally. Throughout his career, Konowitch has consistently anticipated lifestyle trends enhanced by his brand-building vision in the pop/rock music arena. Beginning as SVP of Artist Development and Video at Clive Davis’ Arista Records , Konowitch helped mold the careers of Whitney Houston, The Grateful Dead as well as new wave artists, The Thompson Twins and A Flock of Seagulls, and many other notable artists. He also worked closely with the then brand new, MTV – and used traditional television outlets to create images that mirrored the music. Konowitch then joined MTV as VP of Programming and was soon promoted to SVP of Music & Talent at a crucial moment in the channel’s expansion into media giant. He led the charge of growing the network into a worldwide brand and helped give rise to a new breed of television culture far cooler and content-richer than any audience had ever experienced. 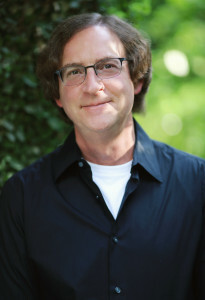 While at MTV, he also created new business platforms that introduced industry-defining content that included: live touring, specialty programming – MTV Unplugged, executive producing the 10th anniversary of MTV on ABC, and the groundbreaking pioneer of reality television – The Real World, developed on his watch. Following his success at MTV, Konowitch was recruited as a founding member of Madonna’s Maverick Records. As the label’s General Manager, he led the marketing campaigns for her Erotica and Bedtime Stories albums and Girlie Show world tour. Konowitch was the architect of the marketing plan for Alanis Morissette’s Jagged Little Pill, helping to turn the singer-songwriter into an international, multi-platinum, Grammy-winning phenomenon. He also spearheaded the multiplatinum success of Candlebox, and The Deftones. A few years later, Konowitch continued making his mark on the music industry joining MCA Records as Executive Vice President, he was recruited to help create the business strategy to revitalize the label’s repertoire and image, overhauling marketing plans, and nurturing acts like Blink-182, Mary J. Blige, Sublime, The Roots, and more. Konowitch then served as EVP/General Manager of Disney Music Group’s Hollywood Records. While there, he led the charge in becoming the industry leader in Teen and Tween marketing. Working closely with DMG Chairman Bob Cavallo, and the various divisions of the Walt Disney Company, his team created multi-platform worldwide brands with artists such as Selena Gomez, Jonas Brothers, Hilary Duff, Demi Lovato and Miley Cyrus. Under Konowitch, Hollywood Records was on the cutting edge of connecting social networks and fans via Twitter, YouTube and Facebook. Konowitch’s team was credited with the incredible achievement of more than one billion YouTube views and millions of album downloads/sales. Armed with a vision, entrepreneurial spirit, a contagious passion for brand marketing, and a wealth of experience working with “the big guys,” Konowitch continues to develop entertainment properties, including the global, classic rock experience RockManiaLive! He is also currently consulting for various companies that feed his appetite for always being on the cutting edge of pop culture and allow him to spend weekends with his family at the beach, his other passion.